Because money makes such a difference in health care in the United States, what happens when it’s no object? The results aren’t pretty, a prestigious Boston hospital has found. It rolled out the red carpet and penthouse suites for a Saudi prince who stayed for seven months of therapy for a drug-resistant infection. His lavish ways, however, ended up tainting the institution’s best practices, resulting in internal and Massachusetts state investigations. The Boston Globe said the episode, in which the unidentified prince and his entourage made unusual care demands and lavished gifts on staff in violation of hospital policies, shows the risks of so-called VIP care. The paper said the post-mortem of the royal treatment found that: medical staff failed to adhere to best practices in wearing protective gowns when treating the princely patient who found the attire “off-putting” and dirty; nurses and others were accused of mishandling narcotics, giving them to members of the royal entourage and not administering them to the patient himself. 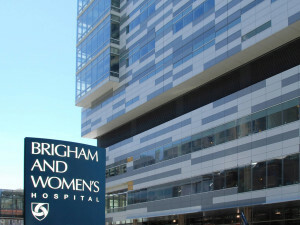 The Globe, which headlined its investigation of the incident as a hospital that “lost its way,” noted that other prominent institutions across the country−including the Cleveland and Mayo clinics and Johns Hopkins−deal with VIP patients. These and other hospitals also may see even more of these “health tourists..” This means they must have and uphold rigorous standards to ensure their care doesn’t get corrupted, and so they’re not seen as favoring excessively wealthy, elite patients. Meantime, for many of the rest of us who find health care costs daunting and troubling, new research finds that physicians could but don’t help patients by talking about finances and options connected with their care. As a result, patients may be missing out on cost savings. Doctors simply aren’t accustomed to talking about money issues with their patients, the study finds, examining transcripts of 2,000 physician-patient conversations about care for breast cancer, rheumatoid arthritis, and depression. MDs don’t tell patients often enough that they might have alternatives to costly medications or procedures. They could help patients greatly by spending a few more minutes to better understand their financial situation and anxieties about paying for treatments. Care-givers must pay greater attention to these concerns because patients increasingly must navigate by themselves, often while ill, through the complexities of accessing and paying for their care. This shopping around for care is hard going for them, and they aren’t always savvy about doing so. Uncle Sam, starting on April Fool’s, has stepped in as he has long promised to do to change the way hundreds of thousands of older Americans get hip and knee replacements paid for by Medicare to the tune of $7 billion annually, just for hospitalization. Seniors now will see the effect of a “bundled payments” approach for these procedures, some of the most prevalent covered by the federal government. Rather than paying various caregivers, hospitals, surgical centers, labs, and others involved, the government now will tell one institution−hundreds of hospitals across the country−they are responsible party. They will get one payment to divvy among the many. They’re responsible for the quality of care from the start of surgery until 90 days after patients’ discharge. Things could get interesting as all the parties wrestle for their share of the money, especially the providers of the pricey surgical hardware used in knee and hip procedures. But government experts argue that the bundled payments will lead to improved care and lower costs. Patients experience huge variances in their hospitalization, rehabilitation, and infections tied to knee and hip surgeries; the costs, too, go from $16,500 to $33,000 on average for the same procedures in different parts of the country. Between 2013 and 2014, Medicaid costs actually declined for patients in primary clinics participating in the initiative, according to a state analysis. That saved money and led to bonus payments for 19 physicians’ offices around the state. Doctors also cut use of unnecessary tests and antibiotics after tonsil surgery. And hospitals slashed the share of patients being readmitted for complications after congestive heart failure from 14% to 1%.